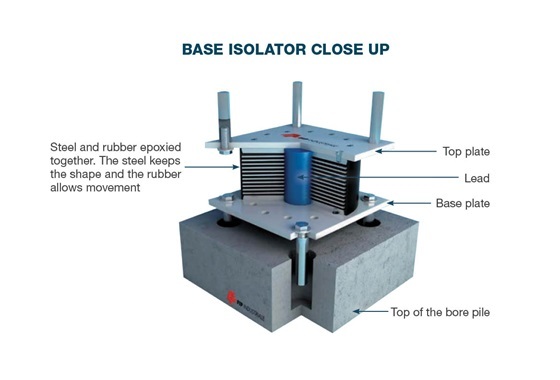 Base isolation is a structural design where a buildings support columns are separated from its foundation using round rubber and steel plates. The round plates are stacked around a lead rod and epoxied together. Seismic movement is dampened during an earthquake keeping the building and it's contents intact. They are typically rated for 200-250% shear strain but have been successfully tested to over 400% shear strain.